Dr. Powell’s research interests are focused on advancing transformative technological solutions to overcome the barriers of big data that have slowed progress toward effective implementation of genomic medicine. 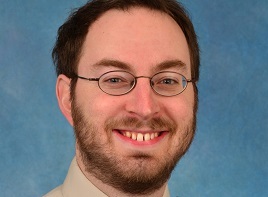 Given his training as a clinical geneticist, pediatrician and bioinformatician, he is uniquely qualified to bridge the gap with cooperative research groups and cross-institutional consortia. Bradford received a BS in Applied Biology from Georgia Institute of Technology in 1998, followed by a PhD in Genetics and Molecular Biology (2005) and an MD degree from UNC (2007). After a Pediatrics residency at University of Florida (2010), he completed a Medical Genetics residency (2012), clinical genetics academic research fellowship and postdoctoral fellowship (2013) at Baylor College of Medicine. Bradford joined UNC in 2013 as a Clinical Assistant Professor in Genetics with a secondary appointment in Medicine (Division of Hematology-Oncology). In his team approach to translational research, he serves as co-PI on NCGENES, directing the informatics aspects of the project. With NCNEXUS, he serves on the committee to determine which gene-disease associations have sufficient evidence for pre-symptomatic actionability, along with directing computational filtering and prioritization of genetic variants for presentation to expert analysts. As part of the NIH ClinGen consortium, Bradford plays a central role in the Date Modeling Working Group and serves as co-chair of the ClinGen Pediatric Actionability Working Group. He is also active in the Adult and Cancer Genetics clinics at UNC Hospitals and is active in teaching medical students as the director of the Genetics Coil. The Department of Genetics is pleased to welcome Dr. Powell! Bradford is located in 5078 Genetic Medicine Building and can be reached at 919-962-4916.